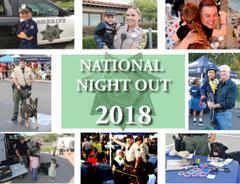 Join the San Diego County Sheriff's Department for FREE Night Out Against Crime© events on TUESDAY, AUGUST 7TH. Sheriff's Stations and Substations all over the county will be hosting these events to take a stand against crime. 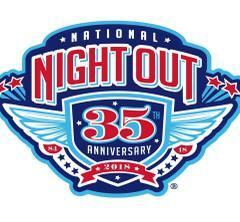 All locations will have a Sheriff's Crime Prevention Specialist on site so you can get tips on how to stay safe. If you can't make it to any of these events, leave your porch light on as a show of solidarity on Night Out Against Crime©. To learn more about the Sheriff's Crime Prevention Unit, including important safety tips, visit www.sdsheriff.net/crimeprevention.